Product #60803 | SKU HLX-BAB-G | 0.0 (no ratings yet) Thanks for your rating! Mounts directly to ARRI LF and Alexa to provide a direct connection to the camera and has a gold mount front. 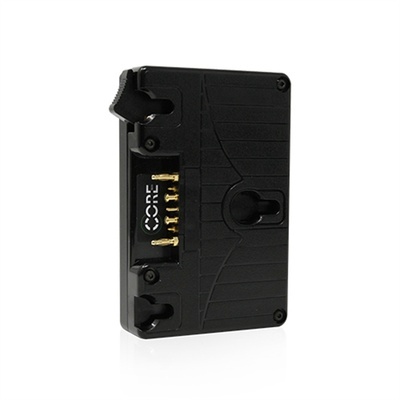 The Core SWX Helix Direct Mount Battery Plate with Gold Mount Front for ARRI mounts directly to ARRI LF and Alexa to provide a direct connection to the camera and has a gold mount front. When coupled with HELIX packs, it outputs up to 33.6vdc. It also accepts standard 14v Gold Mount battery packs.